Getting to Ocean Park from Tsim Sha Tsui. Comments for Getting to Ocean Park from Tsim Sha Tsui. 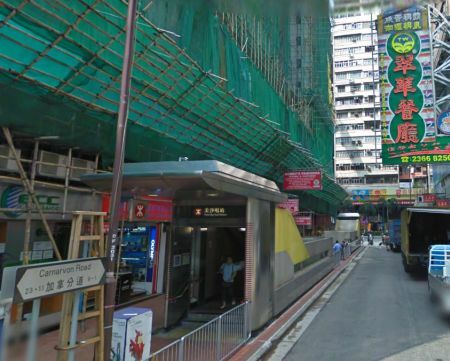 Is the Gloria Guest House easily accessible (mtr, bus)? What is the easiest way to go to Ocean Park and Disneyland from Gloria Guest House? End of this thread, posting comments and answers! For your inquiry, please click the 2nd link below to write your own inquiry page in this site. my family with 4 adults and 2 kids ages 9 and 4 year old will arrive in hongkong on march 10 at 7:30pm. what is the most convenvient and cheapest way to go to holiday inn golden mile hotel? how much is the taxi ride from nathan road going to ocean park? what is the best time to avoid traffic going to ocean park. what time should we leave ocean park to avoid traffic going back to our hotel? where can we find the double deck bus that will tour us around hong kong ? I plan to visit Macau and do bungee jumping on the 6 March which is also my last day in Macau. I and gf not staying in Macau, and will be travelling back to HK via ferry, hoping the last ferry. I also like to to go Ocean park but dont intend to stay there whole Day time. Any itinerary that fits my bill? Taisan Guest House Burlington branch to Ngong Ping 360. Ngong Ping 360 to Victoria Peak. Taisan Guest House Burlington branch to Ocean Park. Taisan Guest House Burlington branch to Disney Land. Taisan Guest House Burlington branch to Macau. how to go citadines hongkong ashley from hongkong airport. This Page is a great help for us Hongkong Tourist! !Nice Job!! - what is the most convenient route and the most accessible public transportation?please include maps and other landmarks, thank you! - Can we still take the same route and public transportation after 7AM going back to the HOTEL? - Please include FARE RATE too. - How FAR is NIGHT MARKET from our HOTEL or any SOUVENIR SHOPS/TOURIST Spots that you can suggest near the hotel?? - How can we get there? - Route and means of transportation please form where we stay (Royal Pacific Hotel Tower)? - Ticket price and other payable to access attraction in the area please? Can you help us find the easiest route going to OCEAN PARK from Royal Pacific Hotel Tower? Thank You!! Hi, well will have our trip on Dec 3days and 2 nights and we're planning to stay in Taisan Guesthouse. Here's our itinerary. Can you advise on the transportation to and from the hotel? and other suggestions in out itinerary. We want to maximize our stay. thanks. From Kimberley hotel to Ocean Park: MTR train from TST to Admiralty station (5 mins @ HK$8.1), Exit B --> Bus 629 to Ocean Park entrance (25 mins @ HK$10.6). From Kimberley hotel to Ngong Ping: MTR train from TST to Lai King station --> change Tung Chung Line all the way to Tung Chung station (38 mins @ HK$14.1), take Exit B --> walk to the nearby NP 360 cable car terminal --> cable car to Ngong Ping (25 mins @ HK$125 - round trip). From Kimberley hotel to the street markets: MTR train from TST to Jordan station (3 mins @ HK$3.8) then take Exit A for Temple Street. Or, MTR train from TST to Mong Kok station (7 mins @ HK$4.6) and take Exit E2 for Ladies Market. Wing Sing Hotel is rated 2-star hotel located at 1B Wing Sing Lane Yau Ma Tei Kowloon, Hong Kong. It is about a minute walk from the Yau Ma Tei MTR station Exit C.
Wing Sing Hotel to Ocean Park: MTR train from Yau Ma Tei to Admiralty station (8 mins @ HK$9.9), Exit B --> Bus 629 to Ocean Park entrance (25 mins @ HK$10.6). Wing Sing Hotel to Disneyland: MTR train from Yau Ma Tei to Lai King station --> change Tung Chung Line and get off at Sunny Bay station --> change to Disneyland Resort Line to Disneyland (34 mins @ HK$17). Wing Sing Hotel to The Peak: MTR train from Yau Ma Tei to TST station (5 mins @ HK$3.8), Exit F --> walk to the nearby Star Ferry Pier --> take the Star Ferry to Central (9 mins @ HK$2.5) --> walk to the nearby Central bus terminus --> bus 15C to the Peak Tram (10 mins @ HK$4.2). From Wing Sing Hotel to the street markets: MTR train from Yau Ma Tei to Jordan station (3 mins @ HK$3.8) then take Exit A for Temple Street. Or, MTR train from Yau Ma Tei to Mong Kok station (3 mins @ HK$3.8) and take Exit E2 for Ladies Market. I and 2 friends will be arriving hk for 3D2N. Staying at budget Wing Sing Hotel in Yau ma tei. First, Guangdong Guest House is conveniently located at 36-44 Nathan Road, B2, 5/F, Block B, Chungking Mansion, Hong Kong. --> Take the shuttle bus from the hotel to the Disneyland bus terminal that is very close to the Disneyland Resort MTR station, here's the shuttle bus schedule. --> Get into the MTR station --> take the train to Sunny Bay station --> interchange trains to the Tung Chung Line and get off at Lai King station --> interchange trains to the Tsuen Wan Line and get off at Tsim Sha Tsui station (39 mins @ HK$17) and take Exit G. Chungking Mansions is just a block away towards south of Nathan Rd. will be in hongkong on may 2 but will be staying in disney hotel for 2 nights so will check out on may 4 and then will be staying in guangdong guesthouse in nathan road. When you arrive at HKIA, since you'll stay 4days in HK, I would suggest that you just buy an Octopus card to each of you. Note that there's a CHILD octopus card for children below 12 yrs old for half fare. Basically, an Octopus card will cost HK$150 with HK$100 as stored value and HK$50 refundable deposit. There's NO need to load your Octopus card up to HK$1,000. I strongly suggest that you just keep its stored value under HK$200 as it is very easy to add value in it thru Add Value Machines or to any customer's service counters in any MTR station or even at convenient stores like 7-Eleven when the stored value almost gets to zero. Don't worry, you can still use it even if the value becomes negative in your last ride. This is for safe reason in worst case that you lost your octopus card. Your itinerary listed above looks fine to me I just confused a little bit in your last question -- "Do you think we should visit Ocean Park for the whole day and just visit Disneyland for one day?" as you already have Ocean Park in your Day 1. For Disneyland, it can be done in a 1 day with a fireworks show finale to make it a complete whole day visit and maybe you spare for a day in Macau would be a great adventure or spare it for a visit at HK Museums your kid will surely love it. I have just called Ngong Ping and confirmed that the cable car maybe will resume operation on the 2nd week of April 2012 BUT still they cannot commit a specific date. For the time being. The transportation available from Tung Chung to Ngong Ping is by bus no.23 or by taking a taxi. Hi Don. I am sorry I forgot to add that if we are to just spend one day at Disneyland, would it be wise to plan a day trip to Macau? Is it worth it? If you think I could add few more places to see around Disneyland, Ocean Park, and Lantau Island please let me know. Thank you so much! HI Don! First of all I want to thank you for your info on my previous inquiry. I have created an itinerary for my daughter and I, please let me know if my transportation choice would be wise or if you can suggest something better. I intend to buy the octopus MTR card. Would it be wise to just buy 1 card or 2 card for me and my daughter and load it with HK$1000.00 or HK$500 each ? I read about the octopus MTR card that has RT fare for Airport transfer and unlimited transfer to MTR for 3 days. I figured since we will be essentially traveling for 4 days it would be better to buy a card and load it. I calculated our total transportation fare to be roughly HK$750 including the cable ride to Lantau Island and Airport Express Train. These are my attractions and transportation plan. Please let me know if you have a better way. Thank you again in advance. We are purchasing a 2 day pass to Disneyland. Hence you will see Disneyland visit twice. Do you think we should visit Ocean Park for the whole day and just visit Disneyland for one day? Cable car service is temporarily closed for service for about two months now but let's hope that it'll be open for service by the time you get there. You may opt to visit Ngong Ping Village by taxi or by bus, read travel instruction here ( post dated May 29, 2010 ). If I may add, you may ride the cable car in Ocean Park offering a spectacular view along the route of Southern Hong Kong Island between the park's "Lowland" and "Highland" attractions. Hello would like to know if the cable car going to nyong ping is already open because my family will be going to hongkong this week and we plan to visit nyong ping and wants to take to the cable car. Thank you. Snoopy's World is located on the third floor (Level 3) of New Town Plaza, Shatin, Hong Kong. It is about 3 mins walk from the Shatin MTR Exit A. Take the bus 629 back to Admiralty --> get into the Admiralty MTR station --> take the Tsuen Wan Line trains and get off at Mong Kok station --> interchange trains to the Kwun Tong Line and get off at Kowloon Tong station --> interchange trains to the East Rail Line and get off at Sha Tin station (29 mins @ HK$13) and then take Exit A. First, to know the location of Marco Polo Hotel pls scroll up to post dated Dec 06, 2011 and follow the link to view hotel map and hotel reviews. Here's how to get to Ocean Park from Marco Polo Hotel by MTR + bus. Note that there's NO direct MTR route to the park. Take a walk about 5 mins and follow directional signs to the Tsim Sha Tsui MTR station (preferably thru Exit F) --> take the Tsuen Wan Line train and get off at the next station, the Admiralty station (5 mins @ HK$8.1) and then take Exit B --> upon exit, take the CityBus 629 that will bring you straight to Ocean Park entrance (25 mins @ HK$10.6). hi. thank you for answering my query. i have another question. please help me with this. how can we go to snoopy world from ocean park. thank you. My family and I will be visiting Hong Kong this month. We're planning to bring our kids to Ocean Park. We will be going on our own. We will be staying at the Gateway Marco Polo Hotel. Would you be willing to teach me how to get to Ocean Park via the MTR? There's No bus that have a direct route from Hong Kong - Macau Ferry Terminal to Ocean Park. If you want, you can take about 5 mins walk to the Central Ferry Pier, where you'll find a bus stop of bus 629 that will take you to Ocean Park entrance (30 mins @ HK$10.6). Since your in group, it would be more efficient to just take a taxi straight to Ocean Park from the Ferry terminal that would cost around HK$75 for 11 mins drive. Get into the Jordan MTR station thru Exit B (about 3 mins walk from the hotel) --> Tsuen Wan Line train to Lai King station --> interchange to Tung Chung Line train to Tung Chung (36 mins @ HK$14.1) and then take Exit B --> walk to the nearby NP 360 cable car terminal --> take cable car to Ngong Ping (25 mins @ HK$125 - round trip ticket). 2) Getting from Lantau Island to Noah's Park. 3) Getting from Noah's Park to Langham Place: Take the Shuttle bus from Park Island Coach Station to Tsing Yi Railway Station--> get into the Tsing Yi MTR station and take the Tung Chung Line train and get off at Lai King station --> interchange trains to the Tsuen Wan Line and get off at Mong Kok station (33 mins @ HK$14.1) and take Exit C3 --> just a minute walk to Langham Place. Yes, a cab in HK can accommodate 5 passengers. Here are the following cab fare and travel time. It's spring on April in Hong Kong. The weather tends to be warm and humid with temperature ranges from 20-25 degC and cooler at times and may require light overcoat or a sweater. Here's to find for HK travel package. Hello! Could you please give direction on how to get to the following places. 1. Novotel Nathan Road to Lantau Island. I would like to know what are the suggestions for a trip of 5 to travel from HKIA to TST ferry terminal ? Are 5 people allow to share one cab? How much will taxi fare cost from TST ferry terminal to largos hotel at Nathan road? I think some are the places are near to each other but wish to get the expected cab fare from you. Do you have any reasonable land tour packages? What will be the weather one 2-10 of April?any advices for visitors? Please follow this link for a detailed instruction in getting to Ocean Park from Novotel in Nathan rd. Get into the Jordan MTR station thru Entrance / Exit B (about 3 mins walk south along Nathan Rd.) --> take the Tsuen Wan Line trains and get off at Lai King station --> interchange trains to the Tung Line and get off at Sunny Bay station --> interchange trains to the Disneyland Resort Line that will bring you straight to Disneyland station (36 mins @ HK$ 17) and then take Exit A --> walk about 4 mins to the park entrance. Hello! Could anyone please give direction on how to get to Ocean Park from Novotel (located at Nathan Road, Kowloon). Also the best way to get to Hongkong Disneyland from Novotel. Thank you so much in advance. Yes, the 4 HK attractions you've mentioned above is very doable in 3 full days in Hong Kong. Day 1: Disneyland --> then you may take a street market shopping at night. Day 2: Ocean Park --> then you may still even opt to visit the Victoria Peak and then proceed to Victoria harbour at night for Avenue of Stars and watch the Symphony of Lights. Day 3: Noah's Ark --> Ngong Ping. These attractions were closer to each other (located in Lantau Island) and 3 to 4 hours to explore each is enough. To read more info about Silka far east hotel and travel instruction. hi. my daughter and i are going to hongkong for the first time. we are going to stay in silka far east hotel, castle peak, tsuen wan. we want to go to disneyland, oceanpark, ngong ping and noah's ark. is it possible to go to these 4 attractions within 3 days? please help me on our 3 day itinerary. thank you so much. regards. Traders Hotel Hong Kong (pls follow link to see hotel more info like guest reviews and map) is a 4-star hotel located at 508 Queens Road West, Western District, Hong Kong. Traders Hotel to the Peak: just take a taxi straight to the Peak Tram terminal, about 8 mins drive @ HK$28. Traders Hotel to Ocean Park: taxi to Central Star Ferry Pier (outside) at Man Kwong Street, Central (HK$25) --> Bus 629 to Ocean Park entrance (30 mins @ HK@10.6). Ocean Park to Ngong Ping: Bus 629 to Admiralty MTR station --> Island Line train to Central station --> walk to adjacent Hong Kong station --> Tung Chung Line train all the way to Tung Chung station Exit B (40 mins @ HK$18.8) --> cable car to NP, 25 mins @ HK$125 - round trip ticket. How can we get to peak tower if we are staying in trader's hotel 508 queens road west? And also to ocean park? And from ocean park to ngong ping? Thank you in advance. 1) Here's a travel instruction in getting to ( Mong Kok from Macau (post dated October 26, 2011). And the travel instruction in getting to Macau from Mong Kok (post dated april 22, 2011). 2) And here's to view route map (post dated april 22, 2011) for details and interactive map. 3) Your hotel is close to Venetian Hotel and they're close to the major attractions, around 10-minute taxi drive. 4) It is recommended to take a taxi straight to your intended place of attraction that could be only about 10 to 20 minutes taxi drive. Thank you, HKinsider stellar for replying. A few more questions here. 1)How do I go Hong Kong, Dragon Hostel from macau airport? Is it the same way for me to go back to Macau? 2)During my Macau trip, if I'm staying at Hard Rock Hotel Macau, will it be too far for my to visit all the attraction in Macau city? 3)How long will it takes from Hard Rock to Macau city? 4) How do I go to Macau city from Hard Rock? To Ocean Park: Get into the Jordan MTR train station --> take Tsuen Wan Line train and get off at Admiralty station (6 mins @ HK$8.1) then take Exit B --> take bus 629 to Ocean Park entrance (25 mins @ HK$10.6). To Tsim Sha Tsui: Get into the Jordan MTR train station --> take Tsuen Wan Line train to the next station - Tsim Sha Tsui station (3 mins @ HK$3.8). To DisneyLand: Get into the Jordan MTR train station --> take Tsuen Wan Line train and get off at Lai King station --> interchange trains to the Tung Chung Line and get off at Sunny Bay station --> interchange trains to the Disneyland Resort Line to Disneyland (36 mins @ HK$17). Hi, I just wanted to ask the ff questions? 1. how can we go to Ocean Park? Tsim Sha Tsui? DisneyLand? and Macau and from Jordan Road, Kowloon? Here's a detailed instruction in getting to ocean park from shamrock hotel, please scroll down to post dated "May 14, 2011" on that page. The entrance passes of HK Disneyland and Ocean Park will entitle you for a whole day FREE to all parks' rides and shows except for food and drinks. There are limited (with size dimensions) and unlimited (any luggage size) luggage lockers available for rent at Disneyland Resort, you can read details in this thread. How much is the on site luggage storage in Disneyland? Does it also have size specifications like in Ocean Park? Thanks very much, HKinsider Don! By any chance, do you know also what the entrance passes to Disneyland and Ocean Park does not include? That might be easier than listing what the passes might include. The weather in Hong Kong in April is spring (March-May) and should be great with average temperature of around 25degC. Should be no problem for light clothing even in night time. Hi! Does anyone know if Ocean Park has a storage for luggage? How much? Also, does anyone know what the weather might be in Hong Kong and Macau in April? Will it be very hot in the morning and very cold in the evening? Is wearing light clothing advisable even after dark? Thanks so much! Take the bus CTB 629 from Ocean Park to Central Pier (bus stop is just located outside Central Pier 6) (30 minutes @ HK$10.6, half fare for child under 12 and senior above 65). Bus hours is from 11:00am to 9:00pm at 10 minutes interval. Then take a short walk to Pier no.7 and get into the Star Ferry to TST (9 mins @ HK$2.5). Thank you, HKinsider stellar. The information given was very helpful. I have a few questions here. If I go to Macau. Is it possible I can go to watch both Cirque du Soleil and The house of Dancing Water + visit all the places in Macau for 2 days 1 night? My flight to back to Malaysia will be 5pm. I assuming we need to check in 2hrs earlier, which means around 3pm we need to be in the airport. If there is time or budget constrain, which did you suggest us to watch? Re: HONGKONG-MACAU TRIP (first timers, 4days 3nigh ITINERARY 2012. Kindly suggest and advice the transportation. Getting to Wong Tai Sin Temple: get into Mong Kok MTR station, take the Kwun Tong Line and get off at Wong Tai Sin station Exit B (10 minutes @ HK$5.6). Take a short walk and follow directional signs to Wong Tai Sin Temple. Please follow link for Getting to Macau at the bottom of this page for Macau attractions. Getting to the Peak, Star Ferry and Avenue of Stars, here's a travel instruction for this itinerary. Also, here's Getting to Ngong Ping. Getting to Jumbo Kingdom from Ngong Ping: take trains to Hong Kong station and take exit D. Take the Bus 70 from the Exchange Square Bus Terminus to Aberdeen terminus. Cross the highway via subway (pedestrian tunnel), turn right and walk to the dock for free boat ride to the floating restaurant. Or, take the Bus 75 from Exchange Square Bus Terminus to Shum Wan Shuttle Ferry pier for the free boat ride. Getting to the Street Markets, please click on each link for directions. Travel guide in getting to Stanley Market. Getting to Lan Kwai Fong, get back to Central Exchange Square Terminus. Click on the link for Lan Kwai Fong to read walking directions. HONGKONG-MACAU TRIP (first timers, 4days 3nigh ITINERARY 2012. Kindly suggest and advice the transportation. I have a group of 5 people, with two senior citizens included going to HK and Macau. Would appreciate if anybody can reply on. The plan was a 6 days and 5nights trip.We will be arriving (reach around 10.30am) and departing from Macau airport. Thus we plan to travel Hong Kong before Macau. We will be staying at Dragon Hostel, Mongkok for 4days 3 nights and Macau for 2 days 1 night then straight to Macau airport.Can anybody recommend the itinerary to Hong Kong for me? I hope somebody can comment and give an advice regarding transportations, MTR stations and exits to and from the most tourist attractions as well. To Avenue of Stars and Symphony of Lights: Take the East Rail Line going to Hung Hom and interchange trains to the West Rail Line then get off at East Tsim Sha Tsui station (19 minutes at HK$7.8). Follow directional signs to get to the Avenue of Stars. Expect a cooler weather by this time. Hello we will be arriving in Hong Kong on Feb 11. 6 PM and we are staying at Lucky Hostel. We will be leaving Hong Kong on Feb 14. 8 AM flight. Disneyland, Ocean Park, Snoopy World, Victoria Peak, Symphony of Light, ladies market, temple street night market and avenue of stars. Please send me directions and how much are the fares (bus/mtr) & entrance fees. And how about the weather on those days? Lucky Hostel Hong Kong is a rated 3-star hotel conveniently located at Flat C5, Floor 12, Block C, Chung King Mansion, 36-44 Nathan Road, Tsim Sha Tsui, Kowloon, Hong Kong. 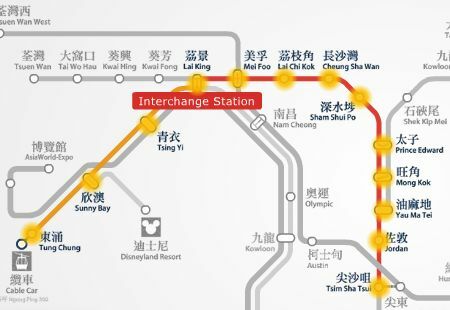 To Temple Street: Get back into the Disneyland Resort MTR station and take the train to Sunny Bay station, interchange trains to the Tung Chung Line and get off at Lai King station. Interchange trains to the Tsuen Wan Line and get off at Jordan station (38 minutes @ HK$17) then take Exit A. Walk 5 minutes and follow directional signs to the market. To Ocean Park: please click on the same link above in going to Disneyland. Please read travel instruction here in getting to NP 360 from TST. Read more information about China visa here. Please give us 4 nights/3 days itinerary. We are staying at the lucky hostel. Here are the tourist attractions that we want to visit. Can you also provide us procedure on how we can get a visa to shenzen if we are Filipino Citizen. Feb 17: Hotel Benito --> Ocean Park --> Victoria Peak (via the Peak tram then pop into Madame Tussauds located at the Peak)--> Star Ferry --> Avenue of Stars --> Symphony of Lights at 8pm --> Street Markets Ladies' Night Market. For HK Restaurants follow link that you can find at the bottom of this page. It'll be our first time in HK this February 17. I just wanna know what are the recommended things to do, places to visit, food to eat. We'll be staying in Hotel Benito. Staying there for 3 nights. Arriving before 10am feb 17 and leaving in the morning of feb 20. I want to reserve a day to go to Macau. is that possible? Please suggest an itinerary for us if we want to visit all the major tourist spots there like Disneyland, ngong ping, victoria harbor, ocean park etcetera. *From Hong Kong Airport to Tai San Guest House. *Getting to Macau from Tai San Guest house via China Ferry Terminal. To read full ferry timetable here. *Getting to Harbour City from Tai San Guest house: Getting to Harbour City is just an 11-minute walk from TaiSan. You just need to head south on Nathan road towards Cameron road, turn right onto Humphreys avenue. Continue onto Haiphong Road and turn right onto Canton Rd then turn left towards Gateway Blvd. 1.how far is it from the Airport? 2. How can we go to Hongkong disneyland via Mrt. 3. How to go to Macau via ferry? 4. How to go to New territory to see Noah ark park? 6. Where are the branded outlet stores located and how to go there? Here's my suggested itinerary to maximize your stay in Hong Kong and Macau. Getting to Shamrock Hotel from HK Airport. Getting to Victoria Peak from your hotel: Get into the Jordan MTR station. Take the Tsuen Wan Line trains going to Central station and get off to that station (8 minutes @HK$8.1) and then take Exit J2. Walk about 12 minutes to the Peak Tram terminus and take the Peak Tram up to the Peak (7 minutes @ HK$40 for round trip ticket). Getting to the Avenue of Stars from the Peak: Get back to Central and follow directional signs. Take the Star Ferry at the Central Star Ferry Pier to cross the Victoria harbour. The fare is HK$3. The trip is about 6-10 minutes. The Avenue of Stars is adjacent to the pier where you can also watch the Symphony of Lights. Getting to Disneyland from your hotel, please refer to the above post dated May 14, 2011. You can read in this page an instruction in getting to Ngong Ping from Disneyland. Getting to Ocean Park from your hotel, please refer to the above post dated May 14, 2011. Getting to the Ladies' Market from Ocean Park: Get back to Admiralty station. Take the Tsuen Wan Line going to Tsuen Wan, get off at Mong Kok station, exit D3. Just follow directional signs. Take trains to Tsim Sha Tsui station and follow directional signs to get to the museums and the famous shopping malls. I hope the above information will help you. Enjoy! Hello, good day... My partner and I are planning to have our vacation in Hong Kong this coming january 22-29. And we still do not know what to do in some of the days, some said that it is very long for a hong kong vacation. Do you have any suggestion for an itinerary for a 1 week stay? We already booked our Disneyland tour on January 23 until noon of January 24. And 27-29 we will be in MAcau. We still do not know where to go on the other days, And need help with the directions to places. We will be staying in Shamrock Hotel Kowloon. Places that we are planning to go to but do not know how to arrange it and how to go there: Ocean Park, The Peak, Nong Ping 360, Night Market, Symphony of Lights, Avenue of stars.. Here are some recommendations to maximize your trip. *When you get to the Tsim Sha Shui station from the Peak, take exit J instead and walk 2 minutes. Just follow directional signs. *To get back to your hotel, just cross the street to get to Canton Road. *Take a short walk along Canton Road. The China Ferry terminal will be on the left. Just follow directional signs. *Getting to Disneyland, take MTR trains at Tsim Sha Tsui station. Head towards Central, same as the above post. Take the Tung Chung Line and get off at Sunny Bay station. Interchange trains for the Disneyland Resort Line. Travel time is 29 minutes at HK$21.7. *Getting to Ocean Park, please refer to the first post on the same page. Take MTR trains to get to the Ladies' Night Market in Mong Kok. Get off at Mong Kok, take exit D3 and follow directional signs. Take MTR Trains as well to get back to your hotel. *Get on the train at East Tsim Sha Tsui station. Get off at Hung Hom station, exit D1 (14 mins @ HK$3.9). Then, head west on Cheong Wan Rd toward Hong Tat Path, turn left onto Chatham Rd, destination will be on the right. *You may then take a short taxi drive to get to the museums or walk may be. Just follow directional signs to get to the museums and to the Star Ferry terminal as well. I am very thankful for your kindness, i really appreciate it! Actually we already have an itinerary for hongkong tour, but I am planning to fill in the free time that we will be having during our stay with a low cost budget. I want to maximize my afternoon, would you suggest going to the peak? or somewhere else? Could you help me for an itinerary on our free day. we are planning to go and have a mass in a catholic church on Christmas day. What can you suggest regarding the nearest catholic church from our hotel prince Marco polo? I would like also to ask, how many minutes walk from our hotel to the star ferry, I found out that is cheaper compare with mtr. Do we need to ride a bus from our hotel to go to the avenue of stars, space museum and other museums or we can just walk from it? thank you! Marco Polo Hotel Hong Kong is rated 5-star hotel conveniently located at Harbour City, Kowloon, Hong Kong. It is about 2-minute walk away from Tsim Sha Tsui MTR Station. Getting to the Peak from your hotel, take trains at Tsim Sha Tsui MTR station. Take the Tsuen Wan Line going to Central, get off at Central station and take exit G instead to get a taxi directly. It's a 10-minute drive at HK$18 to the Peak Tram Terminus. From the Peak Tram terminus, board on the Bus 15C to get to the Central MTR Station. Take a short walk to the "ding ding tram" stop. Get off at Admiralty MTR station which is the 5th tram stop. To get back to your hotel, take trains at the Admiralty MTR station. Take the Tsuen Wan Line going to Tsuen Wan, get off at Tsim Sha Tsui Station. Take exit L5 and walk 2 minutes. Good day! This is our 1st time to travel in hk, I just want to ask, how many minutes from Marco polo prince to tsim sha tsui mtr station. My family is planning to visit the peak. I would like to ask also the correct direction and mtr station that would be very convenient because my parents could not take a very long walk. Would you also suggest riding a bus? If ever what is the correct bus route? We would like also to experience the "ding ding tram", what would be the nearest station after the peak, and going back to prince hotel. Those outlets you've mention is easy to find as most of them have shops in well-known shopping malls in TST. Also, just stroll along Nathan Rd and you can easily find these outlets, here are some that is close to the Park hotel. A taxi from Park hotel in TST straight to IFC mall in Hong Kong island is about 11 minutes drive @ HK$55. Thru MTR (this will have long walks). From Park hotel, take about 4 mins walk along Cameron Rd and get into the TST MTR station (thru Exit B2) --> take the Tsuen Wan Line and get off at Central station Exit C (6 mins @ HK$8.1) and then follow directional signs to the IFC mall for about 5 mins walk. Another option is to take the ferry TST Star Ferry Pier to Central Pier (9 mins @ HK$2.5) and then a short walk to the IFC mall. I WOULD LIKE TO KNOW THE EXACT LOCATION OF THEIR OUTLET IN TST LIKE THE OUTLET OF ESPRIT / BOSSINI / GIORDANO? Re: from tsuen wan mtr going to MACAU. HELP! Silka Far East Hotel (new hotel name) known before as the Dorsett Far East Hotel, to read hotel location details and to read full instruction in getting from the hotel to the ferry terminal that will bring you to Macau. Actually, Lucky Hostel is located at Chunking Mansion, here's the travel guide in getting to Disney from Lucky hostel. Also take note that Chunking Mansions is located very close to the Mirador Mansion so you can follow the transportation options from HKIA to Mirador Mansion that you can read in this topic and the cheapest way is by bus (CTB A21). Please follow this link for a detailed instruction in getting from Lucky hostel to Hong Kong Disneyland and Ocean Park. We need help on finding the way back from Ocean Park to Chungking Mansion and from Disneyland to Chungking Mansion. Hi. We're 4 & 1st to HK. We need help on cheap transportations from HKIA to Lucky Hostel then Lucky Hostel to Ocean Park and Lucky Hostel to Disneyland and last Lucky Hostel to HKIA. from tsuen wan mtr going to MACAU. HELP! hi guys! how do i get to MACAU if i am coming from TSUEN WAN MTR (i am staying at Silka HOtel). i am planning to take the first trip to Macau in the morning & go back to Hong Kong just in time to see the SYMPHONY OF LIGHTS. please help! i dont know how to go to these places or the time i need to allot and the fares as well. Hong Kong is actually a safe place. You may exchange money anywhere but I suggest you go to the nearest MTR station. There you can find currency exchange services. i would like to know where can i exchange my $ dollar money? i'm at park hotel. I suppose you stay at Taisan Guest House Burlington branch. To read details about this hostel and see a location map, just go to this page (post dated "April 08, 2011" on that page). Get into the Tsim Sha Tsui MTR Station, take the Tsuen Wan Line trains towards Tsuen Wan and get off at Lai King Station. Interchange trains to the Tung Chung Line heading towards Tung Chung and get off to that last station and take Exit B (38 minutes @ HK$14.1). Walk about 4 minutes to the Ngong Ping 360 Cable Car terminal and then take the cable car to Ngong Ping for 25 minutes @ HK$115 for round trip ticket (recommended). hello! what's the best way to get to and from the peak from hk taisan guesthouse? Getting to Ocean Park from Park Hotel, you can read travel instruction in this page. *Taking a taxi from Park Hotel straight to Ocean Park will take about 14 minutes drive at HK$71.25. You may ride a taxi back to your hotel as well. *Urban taxis (Red) - serve all destinations throughout Hong Kong. I WOULD LIKE TO ASK THE EFFICIENT WAY TO GO TO OCEAN PARK FROM PARK HOTEL LOCATED AT Chatham ROAD. I WOULD ALSO TO KNOW IF ITS ADVISABLE IF WE WILL RIDE A TAXI HOW MUCH WILL IT COST WHAT COLOR OF TAXI WE SUPPOSE TO RIDE AND THE RIDE TO GO TO OUR HOTEL IS THERE ALSO AVAILABLE TAXI FROM OCEAN PARK. PLS I NEED UR ASSISTANCE ASAP TY. Dec 23: Spend the whole day at Disneyland Park. Don't miss the "Disney in the Stars" Fireworks at 8pm. Dec 24: For various events during the WinterFest in HK. Dec 25: Here's the travel info in getting to Ocean Park from your hotel. Dec 26: And the travel info in getting to Ngong Ping from your hotel. Dec 27: Try to view the harbor at day time and night time as well. Watch out for the Symphony of Lights at Victoria Harbour at 8pm. Also, it's best to go shop at the Ladies' Market at night. Dec 28: Travel guide in getting to Macau from Jordan. Dec 30: Please refer to the above links on how to get back to the HKIA from Macau. I'll b traveling to HK on 23rd Dec 2011 - 30th Dec 2011 with hubby and 2 yrs old toddler. we will be staying in Disney for 1 night. 24th Dec - Check out and proceed to Largos located at Jordan. Any place you can suggest to bring my girl to celebrate Christmas eve? 25th Dec - plan to go Ocean park - can advise which is the best route for us from Jordan? 26th Dec - Plan to go Ngong Ping 360 - can advise which is the best route for us from Jordan? 27th Dec - shopping around Tsim Sha Tsui , Avenue of star , and ladies streets. 28th Dec - check out and depart to Macau, please advice what is the best route from Jordan to take Ferry to Macau. Please scroll up to the post dated "Oct 13, 2011" in this thread to read about Hotel Benito details and getting to HK Disneyland instruction. For Ocean park, you find the getting there instruction from TST on the very top comments on this thread. HK attractions like hongkong museum of art, avenue of stars, harbour city, and the symphony of lights are located in Tsim Sha Tsui area and a walking distance from Benito hotel. For the location, please refer to the map that you can see in this thread (post dated "Mar 15, 2011"). WE HAVE BOOKED IN HOTEL BENITO for 4 days & 3 nights with my husband and 2 sons. to Ocean park, Disneyland, hongkong museum, avenue art, harbour city and to witness the symphony of light. Pls help us w/ our itinerary. Here you can find itinerary suggestions which is applicable in your case though the topic discussed on that page is about getting to HK attractions from Anne Black Guest House, Metropark Hotel Mongkok is located in front (refer to map on that page) of it so basically it will also apply to you. Also, go to this this topic discussion to read about discussion specially for first timers in HK. Here's the weather forecast for Hong Kong. We only published weather forecast within two weeks range from the current date for reliability purposes. I have book & flight free & easy to HK. stay at Metropark Hotel Mongkok, 5 days in HK, 20 Oct afternoon reach to HKIA & return 24 Oct afternoon. can you give us an itinerary for our HK trip, we wanted to go to Disneyland, Ocean Park, The Peak, Avenue of stars, symphony of lights, 2 Adults & 2 children. thank you. Please give me the 7 days weather forecast on oct31 -nov6.Thanks! From Ocean Park (near the main entrance), take the bus CTB 629 to Admiralty west bus terminus (25 mins @ HK$10.6) --> get into the Admiralty MTR station --> take the Tsuen Wan Line train and get off at Jordan station and take Exit A (6 mins @ HK$8.1) --> follow directional signs and walk few minutes to the market. how to get to the Temple street night market from ocean park? Thank you for the response on getting to disneyland from tsim sha tsui. HI! PLS. GIVE ME A WEATHER FORECAST BY OCT 31 TO NOV. 3. IT WILL BE A BIG HELP. THANKS! To read detailed instruction in getting to HK Disneyland from Mirador Mansion or Chungking Mansions (these two places are located almost adjacent to each other), go to this topic discussion. how to get to hongkong disneyland from mirador mansion, nathan road, tsim sha tsui? Like Hong Kong, you only need your Passport to get into Macau. Here's to read more information about getting to Macau, specially for first timers. Here's travel route details about BP Intl Hotel and getting there instruction. The hotel is just a few minutes walking distance from the Jordan station Exit C.
From Ocean Park to the Peak and then to TST promenade for Avenue of Stars and Symphony of Lights show, travel route guide in this page. Just get into the nearby TST MTR station and take the Tsuen Wan Line train and get off at Jordan station Exit A for temple street night market or get off at Mong Kok station Exit E2 for Ladies' Market. Oct18: Shopping at any popular Shopping malls in Kowloon area in the morning --> check out from the hotel before 2:00pm --> proceed to Tung Chung and stow your luggage at Citygate Outlets --> Ngong Ping by cable car (25 mins @ HK$115 - round trip ticket) --> back to Citygate Outlets for shopping and dinner --> proceed to HK airport by taxi (10 minutes @ HK$45). Get into the Jordan MTR station --> take the Tsuen Wan Line train and get off at Lai King station --> interchange trains to the Tung Chung Line and get of at Tung Chung station Exit D (36 mins @ HK$14.1). Hotel Benito Hong Kong is rated 3-star hotel conveniently located at 7-7B Cameron Road Tsimshatsui Kowloon, Hong Kong. Just few steps away from the Tsim Sha Tsui MTR station Exit B2. Get into the TST MTR station --> take the Tsuen Wan Line train and get off at Lai King station --> interchange trains to the Tung Chung Line and get off at Sunny Bay station --> finally, interchange trains to the Disneyland Resort Line that will bring you straight to HK Disneyland (38 mins @ HK$17). gud afternoon. hi, I'm jade from Philippines i wondering about macau. I'm planing to go to macau can you help me to know all the details of how to get in there. the documents and all the expenses for travel. Pls suggest an IT for 2days. we arrive on Oct17 past 1am & leave on the 19th at 1:30 AM.we plan to go to Ocean Park, Ngong Ping 360, Victoria Peak, take the HK Island Tram, do some shopping. Is it possible to do all these? Please give the directions on getting to these places. We will be staying at BP Intl Hotel. Hope you can help me on this. thank you. May i know the weather in HK,wIll be staying there next week? how to go to hk disneyland from hotel benito in tsim sha tsui? Re: Pls help me with Directions. The issuing of China VISA at China Borders such as HK-Shenzhen, Macau-Zhuhai or any other popular gateways are being cancelled since from the China Olympics up to now unless you are a British citizen or an HK ID holder. You can apply for a China VISA in you country's consulate office in Hong Kong but it takes a day or two to get it so better apply for it before your trip to avoid any hassle. Please scroll up to read the instruction in getting to Tung Chung from Golden Crown Hotel by MTR trains (bus is not recommended), just follow it in reverse order. Tung Chung TMR station trains service hours is from 05:52am to 01:25am. Walk about 10 mins to the TST Star Ferry Pier --> take the Star Ferry to Central Pier (9 minutes @ HK$2.5) --> walk to the nearby Central Pier Bus terminus --> take the bus 15C to the Peak Tram Lower terminal (10 minutes @ HK$4.2) --> take the Peak Tram up to the Peak (@HK$40 - round trip ticket). Follow same instruction in getting back to the hotel in reverse order. * Here's how to get to HK Disneyland from Golden Crown Hotel in TST by MTR trains (bus is not recommended). Get into the nearby TST MTR station --> take the Tsuen Wan Line and get off at Lai King station --> interchange trains to the Tung Chung Line and get off at Sunny Bay station --> then finally, interchange trains to the Disneyland Resort Line that will bring you straight to Disneyland (38 minutes @ HK$17). From Disneyland, I think it is more convenient to take a taxi straight to HK airport (about 35 minutes @ HK$110) or, you can take the MTR trains from Disneyland station to Tung Chung station (16 minutes @ HK$11.9) and then take a taxi from Tung Chung to HKIA for about 10 minutes drive @ HK$45. * Getting to Window of the World (in mainland China) from Tsim Sha Tsui. You need to get ready with your Chinese VISA before trip. By trains: Get into the TST MTR station --> take the Tsuen Wan Line train and get off at Mong Kok station --> interchange trains to the Kwun Tong Line and get off at Kowloon Tong station --> interchange trains to the East Rail Line and get of at Lo Wu station (53 minutes @ HK$34.8) --> undergo immigration formalities for HK and then China --> upon exit, you can opt for a quick shopping at nearby Luo Hu Commercial Center, popular place for bargain items --> get into the subway Metro Train station --> take the "Luo Bao" Line train and get off at "She Jie Zhi Chuang" or Window of the World station (31 minutes @ RMB5). Just follow same route in reverse order when getting back to the hotel in TST. RaiLei Hotel is a budget hotel conveniently located at 4th Floor (Reception), REX Building, 648-652 Nathan Road, Mongkok, Kowloon, Hong Kong. Just upon exit at Mong Kok MTR station Exit E2. Get into the nearby Mong Kok MTR station --> take the Tsuen Wan Line train and get off at Lai King station --> interchange trains to the Tung Chung Line and get off at Sunny Bay station --> finally, interchange trains to the Disneyland Resort Line that will bring you straight to Disneyland (32 minutes @ HK$17). Pls help me with Directions. Hello! We'll be staying in golden crown hotel in Tsim Sha Tsui. I would like to ask for the following directions, the means of transportation, how much time the ride would take, schedule of the bus to take off from the station and bus fares..
1. From Tung Chung Station to Golden Crown Hotel. 2. From Golden Crown to Victoria Peak (we're planning to go there in the afternoon of our first day ) and vice versa. 3. Golden Crown to Disneyland and Disneyland to HKIA. 4. From Tsim Sha Tsui to Windows to the World of Shenzhen and vice versa.. Please tell me how to get to Disneyland from Rai lei Hotel (Mongkok) and time schedule of the MTR / bus? 1) Disneyland, entrance or inside the park. Here's more details to the above location. Hello! My family will be arriving in Hongkong on Jan 1, 2012 at 7:40 am just want to ask if there's a place we can leave our baggages since the check in time to our hostel ( Golden Crown) is 2pm. Thanks! Here's to read answers to the above inquiry. How to go to ocean park from prudential hotel? To sogo mall? To HK-Macau ferry terminal? Pls help! Re: First Time Travel to HK with friends. For instruction in getting to the popular places of tourist attractions (as mentioned above) from Chungking Mansions. For Mirador Mansion location details, just scroll up. Please take note that Mirador and Chungking Mansions are just a block away from each other. Both places are accessible though Tsim Sha Tsui MTR station. Here's the most efficient way to reach these places from HK airport. Getting to Mongkok from Mirador Mansion is quick and easy. Just get into the TST MTR station and take the Tsuen Wan Line trains and get off at Mong Kok station (7 minutes @ HK$4.6). First Time Travel to HK with friends. What ride we will take to reach from Hongkong International Airport to Paris Guest House, Kowloon ? ETA 0050 of October 2, 2011. What ride we will take to reach Hongkong Disneyland from Mirador Mansions and vice versa.? What ride we will take to reach Hongkong Ocean Park from Mirador Mansions and vice versa.? What ride we will take to reach Avenue of the stars from Mirador Mansions and vice versa.? What ride we will take to reach Mongkok from Mirador Mansions and vice versa.? Here's to read travel instruction in getting to HK Disneyland from Mirador Mansion (scroll down to the bottom of that page). Hi, need help on MTR directions from Mirador Mansion to Disneyland. Thanks. Thanks a lot, we appreciate your advise. Here's my personal itinerary suggestion based on the places you've mentioned. I assume that you only wanted a quick tour to the said Hong Kong tourist spots. Check-out at HK Disneyland --> stow your luggage at Disneyland entrance --> explore Disneyland. From Disneyland proceed to Noah's Ark. Take the MTR train from Disneyland to Sunny Bay station --> interchange trains to Tung Chung Line and get off at Tsing Yi station (17 minutes @ HK$11.9) --> take the shuttle bus to Park Island Coach Station (Noah's Ark) from Tsing Yi Railway Station, 10 minutes @ HK$9.5 --> explore the resort. From Noah's Ark proceed to Ngong Ping. Take the shuttle bus back to Tsing Yi MTR station --> take the Tung Chung Line train and get off at Tung Chung Exit B (16 minutes @ HK$11.9) --> walk to the nearby NP 360 Cable Car Terminal --> take the cable car to Ngong Ping (25 minutes @ HK$115 - round trip ticket) --> explore NP. From Ngong Ping, back Disneyland to get your luggage. Take the cable car back to Tung Chung --> a quick shopping at Citygate Outlets --> get into the Tung Chung MTR station and take train to Sunny Bay station --> interchange to the Disneyland Resort Line train to Disneyland (18 mins @ HK$11.9). From Disneyland, proceed to Yiu Fai Guesthouse. MTR trains Disneyland --> Sunny Bay --> interchange to Tung Chung Line and get off at Lai King station --> interchange to the Tsuen Wan Line and get off at Tsim Sha Tsui Exit D1 (39 mins @ HK$17). I plan to spend one day to go Ngong Ping and Noah's Ark with my family. We will start from Disneyland, as we stay there and check out on the day. I think we can leave our luggage there. Please help me to have the most efficient ittenary. I will go to YiuFai Guesthouse later the day to check in. There are 4 adult and 2 kids in my group. Harbour City is about 10 minutes walk from The Kimberley Hotel Hong Kong. For more detailed instruction, go to ( this page (scroll down to post dated "Jul 01, 2011"). do we need a taxi from kimberely hotel going to the harbour city. or is it a walking distance? Harbour City is approximately 15 minutes walk from Shamrock hotel. hi! may i ask how many minutes a walking distance from shamrock hotel to harbour city, thanks! There are lot of Jewelry stores you can easily find if walk along the Nathan Rd and nearby area. Some of the popular are; The "Bulgari" stores at Salisbury Road and in 1 Austin Road West, Kowloon; "Piaget" stores at 2A Canton Road. Travel guide in getting to Ocean Park from Shamrock hotel (note that the hotel is just steps away from Jordan MTR station Exit C1). HI! I WANT TO KNOW IF DO WEED A TOUR GOING TO OCEAN PARK WERE STAYING AT SHAMROCK HOTEL OR IT IS PRACTICAL TO GO ON OUR OWN? HOW CAN WE GET THERE THE MOST CONVENIENT WAY BECAUSE I'm WITH MY 3YR OLD SON IS IT THRU CAB OR TRAIN? THANKS! recommended jewelry shop along Nathan rd. --> check out from Disney hotel --> proceed to Tung Chung by MTR trains (Disneyland --> Sunny Bay --> interchange to Tung Chung Line), 16 minutes @ HK$11.9 --> leave your luggage at Citygate Outlets in Tung Chung, luggage lockers details here. --> walk to the nearby Ngong Ping 360 Cable Car Terminal --> take the NP Cable Car to Ngong Ping (25 minutes @ HK$115 for round trip ticket - recommended). --> explore Ngong Ping --> take the NP Cable car back to Tung Chung and get your luggage. For location details of Yiu Fai Guesthouse (you need to scroll down to the post dated "Jun 17, 2011" on that page). Noah's Ark is more accessible if you're coming from Disneyland since these two place is a bit closer to each other. Here's how. MTR train from Disneyland to Sunny Bay station --> interchange trains to the Tung Chung Line and get off at Tsing Yi station (17 minutes @ HK$11.9) --> take the shuttle bus from Tsing Yi Railway Station to the Park Island Coach Station (10 minutes @ HK$9.5). Hi, We are planning to stay in Disneyland and then on the third day will check out and moved to Yiu Fai Guesthouse. We plan to go to Ngong Ping on the day. What is the best way, should we go to Ngong Ping first and back to Disney to take our luggage and go to Yiu Fai Guesthouse. Or check in to Yiu Fai Guesthouse then go Ngong Ping. Please advise. Also to go to Noah's Ark, is it better from Disney or from Yiu Fai Guesthouse. Please scroll up for location details of Shamrock hotel. Taking the MTR trains from Shamrock hotel to the Hong Kong China Ferry terminal at TST is not a good idea since you still need a long walk from the TST MTR station (Exit A1) to the ferry terminal so I would suggest you take a taxi cab for only about 7 minutes @ HK$25 drive from the hotel straight to the ferry terminal. Re: Golden Crown Guest House, Nathan Rd. to Proficient Industrial Centre. Please scroll to the top of this page for Golden Crown Guest House location details. The hotel is just a few steps away from the TST MTR station Exit D1, D2, or A2. Proficient Industrial Centre is located at 6 Wang Kwun Rd, Kowloon Bay, Hong Kong. About 5 minutes walk from Kowloon Bay station Exit A. Yes, the best transportation I would suggest in between the places mentioned above is thru MTR trains. Here's how. Get into the Tsim Sha Tsui MTR station and take the Tsuen Wan Line to Mong Kok station --> interchange trains to the Kwun Tong Line and get of at Kowloon Bay station (23 minutes @ HK$6.9). I'd like to ask if you can help how to get to Proficient Industrial Centre from Golden Crown Guest House at Nathan Rd? MTR? Or by what means of transpo? From Nong Ping 360 (Ngong Ping area), take the cable car to NP 360 Tung Chung terminal (25 minutes @ HK$80). Walk 4 minutes to the MTR station and take the Tung Chung Line train to Sunny Bay station. Interchange train to the Disneyland Resort Line train (or Disney train) to Disneyland station (18 mins @ HK$11.9). Here's to know about the location and more info about Dorsett Seaview Hotel Hong Kong. 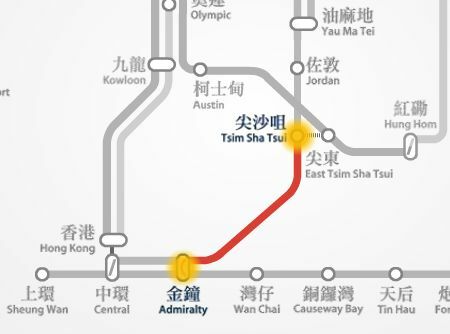 For the Harbour cruise office, just get into the Yau Ma Tei MTR station and take the Tsuen Wan Line train to Tsim Sha Tsui Exit F (5 minutes @ HK$3.8) and walk 5 mins to the Star Ferry Pier at TST promenade. We are going to Ngong Ping 360 then to Disneyland, is there a chance that we can ride the Disney train. How can we reach Disneyland from Ngong Ping 360? Taisan Guest House - Harilela Branch is conveniently located at 9/F, Harilela Mansion, 81 Nathan Road, Tsim Sha Tsui, Kowloon, Hong Kong. Have just added the location map of Harilela Mansion that you can see above, please go to the post dated "Jun 17, 2011" in this page and also, you can read the instruction in getting there to and from HK airport buy taking the bus CTB A21 (same instruction as if you're going to the Taisan Guest House Burlington branch). Day 3: Museums --> HK popular shopping malls / street market shopping. Here's to read more details for the above routes. 1. From HK airport, how to get to Harilela Branch of Taisan Guest house. 2. Any suggestion for a 3 days & 2 nights stay at Hong Kong? For details and location map of Taisan Guest House, just scroll up to the post dated "Apr 08, 2011" in this page. Getting from Taisan Guest House to The Peak. Walk about 8 minutes to the TST Star Ferry Pier --> take the Star Ferry to Central (9 minutes @ HK$2.5) --> walk to the nearby Central Pier Bus Terminus --> take the bus 15C to the Peak Tram (10 minutes @ HK$4.2) --> take the Peak Tram up to The Peak. Getting from Taisan Guest House to Ngong Ping 360. Get into the nearby TST MTR trains thru Exit B1 and take the Tsuen Wan Line train heading to Tsuen Wan and get off at Lai King station --> interchange trains to the Tung Chung Line to Tung Chung and get off to that last station (38 minutes @ HK$14.1) --> take exit B and walk about 4 minutes to the Ngong Ping 360 cable car terminal --> take the cable car to Ngong Ping (25 minutes @ HK$115 for round trip ticket). Getting from Taisan Guest House to Macau. Here's to read travel guide ( post dated Mar 15, 2011 on that page). I need instructions on how to get to The Peak, Ngong Ping 360, and Macau from Taisan Guesthouse in Burlington St.
Cosmic Guest House Hong Kong is conveniently located at 12/F, Block F1 (Reception) Mirador Mansion, 54-64 Nathan Road, Tsim Sha Tsui, Kowloon, Hong Kong. Here's the location map (you need to scroll down to the post dated "Apr 26, 2011" on that page). From Ngong Ping 360 cable car at Ngong Ping terminal --> take the cable car to Tung Chung terminal (25 minutes @ HK$80) --> walk about 3 minutes and get into the Tung Chung MTR station --> take the Tung Chung Line train and get off at Lai King Station. Interchange trains to the Tsuen Wan Line heading towards Central station and get off at Tsim Sha Tsui station (38 minutes @ HK$14.1) and then take exit D2. Mirador Mansion is just right there, upon exit. * Travel guide on how to get to Cosmic Guest house at Mirador Mansion from HK airport. Can anyone tell me how to get from Ngong Ping to Cosmic Guesthouse in Tsim Sha Tsui? Thank you. Thank you so much for the info and prompt reply. I really appreciate it! Get into the Admiralty MTR subway station and take Island Line train and just get off at the next station, Central station (3 minutes @ HK$3.8) and then take Exit J2. Upon exit, walk about 12 minutes to the peak tram, here's to view the walking route map between Central MTR station Exit J2 and the Peak Tram Lower Terminal at Garden Road, Central. Get back to the Peak Tram Lower terminal and nearby you'll find the Peak Tram Bus Terminal. Take the Bus 15C to Central Ferry Pier Bus Terminus (10 minutes @ HK$4.2). Walk about 3 minutes to nearby Star Ferry Pier no.7 and take the Star Ferry to Tsim Sha Tsui, 9 minutes @ HK$2.5. Then you can walk about 5 minutes along the TST promenade to visit the Avenue of Stars or watch the Symphony of Lights show that starts every 8:00pm. Here's to see the route location map (scroll down until to the post date "May 07, 2010" on that page). "Getting to the Peak from Ocean Park: Get back to Admiralty by taking the same bus no. 629 and then just take a taxi from Admiralty straight to the Peak Tram Lower station (about 10 minutes @ HK$25). Take the Peak Tram up to the Peak (7 minutes @ HK$40 round trip ticket)." I will be travelling alone, so is there a way to avoid the taxi from Admiralty to Peak Tram Station? And, How can I get from Peak to TST Waterfront? To read more info about USA hostel, its location and getting there from the HK airport. Please read this topic "How to get to Ngong Ping 360 from Tsim Sha Tsui district?" same instruction details in getting from your hostel to Ngong Ping. The most economical way to travel between HK airport and Golden Crown Guest House is thru CTB A21 bus. Bus travel time is about 64 minutes @ HK$33. Please see map above for the bus stop location. Day 1. HK Disneyland and wait until 8:00pm to watch the fireworks show (getting there instruction can be read on top of this page). Actually, you can go straight to Disneyland from HK airport then check in to your hotel afterwards. Day 2. Ocean Park --> The Peak --> Avenue of Stars and watch the Symphony of Lights --> Street Markets - Ladies' market for street market shopping. Getting to Ocean Park from Golden Crown Guest House: Pls follow instruction on top of this page. Getting to the Peak from Ocean Park: Get back to Admiralty by taking the same bus no. 629 and then just take a taxi from Admiralty straight to the Peak Tram Lower station (about 10 minutes @ HK$25). Take the Peak Tram up to the Peak (7 minutes @ HK$40 round trip ticket). Getting to Tsim Sha Tsui (TST) promenade from the Victoria Peak to visit the Avenue of Stars and watch the Symphony of Lights also, here's a travel guide in getting to Ladies' market from TST promenade. Day 3. Shopping at the HK Shopping - popular shopping mall around TST area. How to operate the add value machine in MTR stations for octopus card? Very easy and simple. Put your octopus card into the card slot. Put the money (could be HK$100 or HK$50 notes) into the money slot, take note of the proper orientation as shown in the picture. Wait for OK indicator and hit ENTER or OK button...then you're done! 1)We will be staying in USA hostel in Kowloon..what are the best attractions to do visit first near to the hostel? 2) How to go to ocean park from our Hostel,and Ngong Ping? how much does it cost if we will take a taxi from our place? Metropark Hotel Kowloon is a 4-star hotel located at 75 Waterloo Road, Kowloon, Hong Kong. Travel guide in getting to Ocean Park from Metropark Hotel (same instruction if coming from Anne Black Guest House). Hi all, I stay at Metropark Kowloon! Any advise how to go ocean park? Thank you! Re: Need help. 1st time in Hongkong. Getting to the Peak Tram from Kingland Mansion. take MTR Tsuen Wan Line trains from Mong Kok to Admiralty station (10 minutes @ HK$9.9) --> take a taxi straight to the Peak Tram (less than 10 minutes @ HK$25). Or, MTR Mong Kok to Central station (12 minutes @ HK$9.9) then take Exit J2 then walk about 15 minutes to the Peak Tram, here's to view the walking route map. Getting to Ocean Park from Kingland Mansion. take MTR Tsuen Wan Line trains from Mong Kok to Admiralty station (10 minutes @ HK$9.9) and then take Exit B --> take the CityBus CTB 629 from Admiralty Bus Terminus straight to Ocean Park entrance (25 minutes @ HK$10.6). Getting to Ngong Ping from Kingland Mansion. take MTR Tsuen Wan Line trains from Mong Kok to Lai King station --> interchange to Tung Chung Line trains to Tung Chung station (32 minutes @ HK$14.1) --> walk 4 minutes to the Ngong Ping 360 cable car terminal --> take Cable Car straight to Ngong Ping (25 minutes @ HK$115 - round trip). Getting to Macau from Kingland Mansion. take MTR Tsuen Wan Line trains from Mong Kok to Central station --> interchange trains to the Island Line to Sheung Wan station (16 minutes @ HK$ 9.9) and then take Exit D towards Shun Tak Centre and get into the HongKong-Macau Ferry Terminal on the 3rd floor for Ferries to Macau that has a 24 hrs service. Sailing time approx. 55 mins @ HK$160 economy class. Kingland Mansion is located at 737 Nathan Road, Mongkok, Kowloon, Hong Kong. This area (Mong Kok) is very well-known for business, shopping, dining and transport centre in HK. Here's the location map of Kingland Mansion and nearby HK major transportation access points. * By Taxi. Taxis in Hong Kong are 4 seater (can accommodate 5 persons max if with kids in the group) and about 40 minutes drive straight to Mong Kok @ HK$250 (including luggage fee). * By bus. Bus in Hong Kong are also efficient and very comfortable way of transportation. Take the Citybus CTB A21 from Airport (Ground Transportation Centre) and get off at bus stop no.5, start counting Airport (GTC) as bus stop no.1 (42 minutes @ HK$33). The bus stop located at 26 Lai Chi Kok Road outside Metropark Hotel Mongkok after Prince Edward Road West (please refer to the map above). * By Trains (Airport Express + MTR trains). Take the Airport Express trains from HK airport to Tsing Yi station. Then at Tsing Yi MTR station, take the Tung Chung Line going to Hong Kong station and get off at Lai King station. Interchange trains to the Tsuen Wan Line going to Central station and get off at Mong Kok station and then take Exit A1 (please refer to map above). Total train travel time is 53 minutes @ HK$60 (Airport Express = HK$60; MTR trains = free) using octopus card. Need help. 1st time in hongkong. Hello! my family is going to Hongkong this coming November. We will be arriving at the airport at 1am of Nov. 4, 2011. Here are my questions. 1. Is there a taxi available at 1 am going to Mongkok that can accommodate for 5 persons? How much will be the fare? or what are other alternative transportation? 2. Can you give us detailed directions from Kingland Mansion, Mongkok to these destinations: (a) peak tram, (b) Ocean Park, (c) Ngong Ping, (d) Macau. I will be very glad if someone could answer my queries. Thanks in advance. Here's how to get from Taisan guesthouse to the Peak. From Taisan guesthouse, take about 8 minutes walk to the Tsim Sha Tsui Star Ferry pier --> get on board on the Star Ferry to Central (9 minutes @ HK$2.5) --> walk to the nearby Central Star Ferry Bus Terminus --> take the bus 15C to the Peak Tram Lower terminal (10 minutes @ HK$4.2) --> Take the Peak Tram up to the Peak (7 minutes thrilling ride @ HK$40 round trip ticket) --> Get back to TST by following this route in reverse order. Getting from Taisan guesthouse to the Ocean Park is explained in the top of this page. In your case, the nearest MTR exit is the TST MTR Exit B1. Just follow the same route when getting back from Ocean Park to Taisan guesthouse in reverse order. We're bringing big and small kids. And also, from Taisan guesthouse to ocean park and back again. Basically, you have only 2 days and a half in your HK trip so I afraid going to Macau is too tight for your schedule. So I suggest this itinerary for your HK trip with timetable. August 24: Arrival at and lunch at the HK Airport (12:00 noon - 1:00pm) --> Proceed to TST by taking bus CTB A21 (just follow the instructions above) and check-in at Taisan Guest House (1:00 pm - 2:30pm) --> proceed to the The Peak, ferry from TST to Central, bus 15C to the Peak tram then take the tram to the Peak (you take your dinner at the Peak and stay there until 7:00pm) --> back to TST to visit the Avenue of Stars and watch the Symphony of Lights that starts at 8:00pm --> take a walk back to your hotel. August 25: HK Disneyland (park hours: 10:00am - 9:00pm). The park offers a whole day activity and end with a spectacular "Disney in the Stars" fireworks that usually starts at 8:00 pm (must see) --> HK Shopping - Citygate Outlets in Tung Chung (just two MTR stops from Disneyland) --> back to the hotel thru MTR. August 26: Ocean Park (park hours: 10:00am - 8:00pm). The park also offers a whole day activity --> get back to Kowloon area for Street Markets - theme street market shopping. In case you still want to visit Macau, I suggest you cancel either Disneyland or Ocean Park trip to save a day for Macau trip. I assume that you're refering to Hong Kong Taisan Guest House Burlington branch which is located at 15 /F, Burlington House, 91-94 Nathan Rd, Tsim Sha Tsui, Kowloon, Hong Kong. I highly suggest you take the bus (CTB A21) from HK Airport Ground Transportation Centre then get off at bus stop no.13 (counting Airport GTC as bus stop no.1). That bus stop is located just steps away from Taisan Guest House (refer to the map), good for group tour and I think your kids will love it. Bus travel time is approx 62 minutes @ HK$33. Taking a taxi could be fine in your group but it's quite expensive. It is about 45 minutes drive @ HK$300 (including luggage fee). During hostel check-in. I advise 4 people will check in and get a quad room (with 2 double beds) then the other 2 will just sneak-in or go directly to the room later on, don't check-in all together. Most hostels don't really care about sneak-ins provided it is not too many. Enjoy your stay in HK! We are 4 adults and 2 small kids and 4 trolley reg luggage. what is the best 1 single transpo we can get that will fit us all because I don't want us to be separated first timers. And also if 6 people can be allowed in Taisan quad room(with 2 double beds)? A taxi in Hong Kong can accommodate well for a group of 4 people and cost approximately HK$240 @ 40 minutes drive from HK airport to Royal Plaza hotel. Here's to read information about how to get there and the best way to travel to Royal Plaza Hotel from Hong Kong airport. Please tell us the best transportation from Hongkong airport to royal plaza hotel, Kowloon, Mongkok (193 prince Edward road west, Kowloon). We are 4 passengers together. What is the approx. cost for taking the taxi? We're planning on a tour to Hongkong on August 24-27. We will be staying at Taisan Guesthouse and we will arrive around 12 noon. Can you suggest an itinerary, we wanted to go to Macau if it will fits our schedule. We also wanted to go to the Peak, Disneyland and Ocean Park. Re: suggestions on where to eat in Hongkong or Macau? Please follow this link for THKA's recommendation for restaurants in Hong Kong. If you know the location of the place where you wanted to be in Hong Kong or Macau then I can show you a direction in getting there and a map to the nearby restaurants. While in Macau, you can go to the famous Rua da Felicidade street, Macau (for street foods). See map below and click the marker for additional information. Do you have any suggestions on where to eat in Hongkong or Macau? Day 1: HK Disneyland --> Ngong Ping 360 --> HK Shopping or Street Markets. Day 2: Ocean Park --> Victoria Peak --> Avenue of Stars, Victoria Harbour and Symphony of Lights (all in Tsim Sha Tsui promenade). Day 3: Whole day for Macau Attractions! As you noticed that above recommended HK attractions are grouped by area to maximized your time. * 3 days in HK 1 day in Macau. How to maximize my 1st time travel? * HONGKONG-MACAU TRIP (first timers) ITINERARY 2011 (4 full days) kindly suggest and advice re transpo. What MTR lines and exits? * 4 days itinerary in HK and a day in Macau? How to get there? Cost? Cheap but safe place for accommodation? If you need more specific questions, just hit the "add comments" link below. Good luck and enjoy your stay in Hong Kong! We are planning to go to Hongkong and stay for 4 days and 3 nights but on the 4th day we will leave hongkong at 7am. Re: Getting to Kowloon Park & Stanley from Tsim Sha Tsui. Kowloon Park is a large public park situated in Tsim Sha Tsui, Kowloon Peninsula, Hong Kong which covers an area of 13.47 hectares. It has several entrance or entry point from Nathan Road, Haiphong Road, Austin Road and Canton Road and there is also a pedestrian footbridge link from China Ferry Terminal at China Hong Kong City (refer to map below). The park has a direct and easy access from Tsim Sha Tsui MTR station Exit A1. Stanley is situated in southern part of Hong Kong island. Getting to Stanley from Tsim Sha Tsui area by taxi is about 35 minutes drive at HK$250. Total travel distance is approx 17.5 Km. Getting to Kowloon Park & Stanley from Tsim Sha Tsui. 1) Going to Kowloon Park from Tsim sha Tsui by-time taken. 2) Going to Stanley by TaxiCab will cost how much one way. The Symphony of Lights and the Avenue of Stars are some of Hong Kong attractions that are open to public and have NO charge. The Ngong Ping 360 Cable Car tickets can be purchased from the Cable Car Terminal in Tung Chung or in Ngong Ping. Please scroll up to read location information including map of Shamrock hotel in Jordan. Getting to Mong Kok from Shamrock hotel and vice versa is quick and easy by MTR trains. Mong Kok MTR station is only two stations away from your hotel heading north (refer to map above): Jordan --> Yau Ma Tei --> Mong Kok. Here's how to get from Shamrock hotel to Tung Chung for HK Shopping - Citygate Outlets and NP 360. Here's the Tung Chung location map showing markers for Citygate Outlets, Ngong Ping 360 Cable Car Terminal and nearby point of interest. * Day 1: HK Disneyland --> Ngong Ping 360 --> back to Tung Chung for Citygate Outlets (suggest you buy a cable car round trip ticket) --> back to your hotel at Jordan. * Day 2: Ocean Park --> The Peak --> Central Ferry Pier --> TST promenade by Star Ferry --> Avenue of Stars and Symphony of Lights (recommended) --> Street Markets - Temple street night market shopping (very close to your hotel). * Quickest way from Victoria peak to NP 360 and cable care ride. Thank you for your quick reply, I really appreciated it. Please help me on how to get from Shamrock hotel to Mong Kok, Ngong Ping and Citygate Outlets and vice versa? Please advise me the best itinerary for May 25, 2011. I wanna go to Ocean Park, Victoria Peak, Ngong Ping and Citygate Outlets. Do you think 1 whole day would be sufficient? Please provide me the most efficient directions as I am travelling with 2 kids. Thanks and i hope to hear from you tonight. You may scroll up to the top of this page to know the direction in getting to Ocean Park from Mirador Mansion where your hostel is located. Here you can find more info about your hotel location map and nearby places of interest. I suggest you take the Macau to Hong Kong China Ferry Terminal ferry route that will bring you to the China Hong Kong City at 33 Canton Road, Tsim Sha Tsui, Kowloon, Hong Kong. Upon arrival, adjacent to the Ferry Terminal you'll find the Bus Terminus, take the bus KMB 14 and get off at bus stop no. 12, PRINCE EDWARD RD EAST NEAR SA PO RD (shown in the map above). Bus travel time is about 19 minutes @ HK$6.1 then take a short walk to Regal Oriental hotel. The bus service hours is from 06:24 to 00:35 with 15 minutes interval. OR, another option is to take a taxi that will bring you straight to Regal Oriental hotel entrance for about 13 minutes drive @ HK$35. Note that there's no direct access to MTR station that is close to your hotel. Here's a recommendation for a 4 days itinerary in touring around Hong Kong attractions, see map here. Taking a taxi while roaming around HK would be a great option in your group. * the color BLUE taxis which serve all destinations in Lantau and the airport area. * the color GREEN taxis are only allowed at New Territories (N.T.) and specific roads in Lantau. May I know the direction on how to go the Ocean Park from Tsim Sha Tsui please? I will be staying at USA hostel. I will arriving at Hong Kong on 7th June from Macau by ferry. The hotel I will be staying is Regal Oriental hotel. How do i travel from the ferry terminal to the hotel? I have book a flight free & easy to HK. Stay 5 days in Hong Kong. 18Jun afternoon reach to HKIA & return 22Jun afternoon. Can you pls advise me how to plan a good travel to visit the HK. 4 adults. Actually, there's only one Shamrock hotel in Hong Kong which is in Jordan area NOT in Tsim Sha Tsui. Here's the location map of Shamrock hotel, Jordan MTR Exit C1 and nearby point of interest. The hotel is just steps away from the Jordan MTR (Mass Transit Railway) station Exit C1. Get into the Jordan MTR station and take the Tsuen Wan Line trains going to Central station but just get off at Admiralty station (6 minutes @ HK$7.9) then take Exit B. Upon exit, you'll find the Admiralty (west) Bus Terminus where you can take the special CityBus No. 629 for about 15 minutes bus trip @ HK$10.6 / person to Ocean Park. Bus 629 is an express special bus route between Admiralty (west) and Ocean Park main entrance. How to get to Ocean park and HK Disneyland from Shamrock hotel at Nathan road in Tsim Sha Tsui? Getting to Ocean Park from Hong Kong Disney hotel or Hong Kong Disneyland hotel is discussed and details including the transportation options can be read in here. I will be staying 4 nights at Hongkong Disney Hotel with my 7 yrs old and want to do a trip to Ocean Park. What's the best way to get there from my hotel? Please follow this link to see location details of Hong Kong Dorsett Seaview Hotel (scroll down on that page). Getting from Hong Kong Dorsett Seaview Hotel to the Hong Kong China Ferry Terminal is only about 5 minutes by taxi @ HK$20 or you can take about 19 minutes walk. Details for HK / Macau Ferry. A taxi straight to Disneyland from Hong Kong Dorsett Seaview Hotel is about 40 minutes @ HK$175. Hi I am travelling with my son and mother next week to Hongkong. 1. I need to know how to go to Macau from Dorsett Seaview Hotel. I would like to directly go to Venetian and the city of dreams. 2. How to go to Disneyland from Dorsett Seaview? How much do you think the cab fare would be instead of taking the MTR? This website is NOT directly connected to any Hong Kong Travel Agent company or operators. Here's to check any travel agents or see the list of licensed travel agents that operates in Hong Kong. A 4-star signature hotel of international standard in Kowloon City and connected by major means of transportation. The nearest MTR station (about 900 meters distance from/to the hotel) is the Lok Fu station at Kwun Tong Line trains and it's just about 5 minutes taxi drive. Here's a drive route map between Regal Oriental hotel and Lok Fu MTR station. Detailed travel instruction in getting to Ocean Park from Lok Fu MTR station. You can take a taxi (recommended) from Ngong Ping village or take the cable car back to Tung Chung cable car terminal then a short walk to the Tung Chung MTR station. Also, you can take the bus NLB 23 or NLB 2 to Tung Chung Bus Terminus (Terminal) from Ngong Ping Bus Terminus (Terminal) at Ngong Ping village then walk to the adjacent Tung Chung MTR station. Total bus travel time is 68 minutes @ HK$32.2 for about 40 bus stops (not recommended). Tung Chung MTR station --> Tsim Sha Tsui MTR station (scroll-up to see MTR train route map). Get into the Tung Chung MTR station and take the MTR Tung Chung Line trains going to Hong Kong station but you need to get off at Lai King station. Interchange trains to the Tsuen Wan Line trains heading towards Central station and get off at Tsim Sha Tsui station and then take Exit D1 or D2 (38 minutes @ HK$13.8). The Mirador Mansion building is located just right upon exit of MTR station. Here's what you see upon exit at Tsim Sha Tsui MTR station Exit D2. Right side is the Mirador Mansion and the street crossing ahead is the Nathan Road. Hope this help and have a wonderful stay in HK! PLEASE HELP US HOW TO GO TO MIRADOR MANSION WHEN MY FAMILY IS IN NGONG PING 360, PLEASE INCLUDE MAP. We recommend two ways of travel option from Hong Kong Disneyland to Hong Kong International Airport. First, the most convenient and highly recommended specially if you travel in a group of 3 to 5 people is by taking a taxi. The taxi fare from Disney straight to HKIA will cost around HK$110 at about 35 minutes drive. Second, much cheaper and also an efficient way of travel is by taking the MTR train PLUS Airport Express train, highly recommended specially if you travel alone. From HK Disneyland, take a short walk to the Disneyland Resort MTR station. Take the Disneyland Resort Line trains going to Sunny Bay station. Interchange trains to the Tung Chung Line heading to Hong Kong station but you need to get of at Tsing Yi station. At Tsing MTR station, take the Airport Express train that will take you straight to the Airport station at HKIA. 35 minutes train travel time @ HK$60 (using octopus card). Our last day of itinerary would be Disneyland and after that we will be heading to HKIA and our ETD is 1:35 am. What do we take for ride? Re: From Taisan Guest House to Ocean Park. The Hong Kong Taisan Guest House Burlington branch is located at 15 /F, Burlington House, 91-94 Nathan Rd, Tsim Sha Tsui, Kowloon, Hong Kong. The most efficient way to travel between HK Taisan Guest House Burlington branch and Ocean Park is by taking the MTR trains and then a short bus ride to the park entrance. From HK Taisan Guest House, take a 2 minutes walk to the nearest MTR entrance/exit which is the Tsim Sha Tsui MTR station Exit B1 (see map). Take the MTR Tsuen Wan Line trains heading to Central station but you only need to get off at the next station from TST which is the Admiralty station then take Exit B, 5 minutes @ HK$7.9. Upon exit at Admiralty MTR station, you'll find the Admiralty (west) Bus Terminus, take the express bus CTB no. 629 straight to Ocean Park entrance for about 15 minutes @ HK$10.6. Hope this help and enjoy your stay in HK! From Taisan Guest House to Ocean Park. We will be staying in Taisan Guest House at Burlington branch (Branch 1). How do we get to Ocean Park? HK Airport has body temperature scanner sensors along the way to immigration counters so that all passengers will pass through it. The only concern if you're traveling with fever is that they will definitely know your body condition and then they will hold you. Other than that, you're allowed to bring your medicines for reasonable quantity just for personal use and should be NO problem and you should have NOTHING to declare. Hi, I am a diabetic and scheduled to go to Hong Kong in two weeks time. Do I allowed to bring my medications good for five days? Will they require me a doctor's certificate if I am fit to travel? Do I need to go to the red channel to declare my medicines? Walking route map between Yau Ma Tei MTR station, Exit C and Dorsett Seaview Hotel in Kowloon. Dorsett Seaview Hotel is located at 268 Shanghai Street, Yau Ma Tei Kowloon, Hong Kong. The most efficient way to travel from Airport to Dorsett Seaview Hotel is by Airport Express Trains PLUS MTR trains. Train travel time is only 37 minutes @ HK$60 (using octopus card). Take the Airport Express trains to Tsing Yi station. Change to MTR trains at Tsing Yi station and take the Tung Chung Line going to Hong Kong station but you need to get off at Lai King station. Interchange trains to the Tsuen Wan Line going to Central station but you get off at Yau Ma Tei station then take Exit C then walk about 5 minutes to the hotel. Ocean Park and Victoria Peak in your Day 1 is doable since both attractions are located at Hong Kong Island. A whole day at Ocean Park and afternoon to evening at the Peak (recommended). Take the MTR Tsuen Wan Line trains at Yau Ma Tei MTR station heading to Central station but you need to get off at Admiralty station then take Exit B, 8 minutes @ HK$9.7. Upon exit, you'll find the Admiralty (west) Bus Terminus, take the express bus CTB no. 629 straight to Ocean Park entrance for about 15 minutes @ HK$10.6. Take same bus no. 629 back to Admiralty MTR station. From admiralty station, I suggest you take a taxi (since you're a group of 4 people) to the Peak Tram Terminus, about 10 minutes @ HK$30. Then take the Peak Tram straight to the Peak, 7 minutes @ HK$36 (round trip). Day 2: I suggest HK Shopping, HK Museums, Street Markets (specially at Kowloon side), Avenue of Stars and Victoria Harbour - Symphony of Lights at Victoria Harbour. Day 3: Macau for whole day (click link to see detailed info in getting there). Day 4: HK Disneyland whole day then proceed to Airport. From HK Disneyland, take a taxi to the HKIA, about 30 minutes @ HK$115. I'm sorry, I should have been more detailed to ask directions. We are family of four all adults and this will be our first time to go to Hongkong. We will arrive on May 8,2011 00:50 and planning to stay at the airport up to a time when we can get a transportation in going to our hotel. I would like to know if we ride the MTR, what MTR station we get off to reach Dorsett Seaview Hotel? We will stay in Hongkong for 3 nights and 4 days and we will leave on May 12 at 1:35am. day 3 - Macau, since our flight schedule is 1:35am on may 12, we could go to Disneyland and is near at the airport. Please give us directions what MTR stations to get a ride in going to ferry terminal for Hongkong side and to Macau. Your help will be very much appreciated. Thank you. Need directions going to Ocean Park and Macau. Hi, will you please help me? My family will go to Hong Kong this May 08, 2011. We will stay at Dorsett Seaview Hotel in Kowloon side. Please we need directions from our hotel to Ocean Park and Macau. Here's the easiest and most efficient way if you're going to Macau from Mirador Mansion. Mirador Mansion is located at 54-64 Nathan Road, Tsim Sha Tsui, Kowloon, Hong Kong (Tsim Sha Tsui MTR station Exits D1 or D2). It is about 10 minutes walk to the Hong Kong China Ferry Terminal (First Ferry) which is located at China Hong Kong City 33 Canton Road, Tsim Sha Tsui, Kowloon, Hong Kong. This is the map showing the markers and the walking route from Mirador Mansion to the China Ferry Terminal. From Mirador Mansions, walk across to the Nathan Rd. then proceed along Haiphong Rd. then turn right along Kowloon Park Drive and turn left across to the Canton Rd to the First Ferry Terminal. The Ferry Ticketing Office at Shop 3 and 8B, 1/F, China Ferry Terminal, 33 Canton Road, Tsim Sha Tsui, Kowloon, Hong Kong service hours is from 6:30am to 10:30 pm daily while the First Ferry (Macau) Ticketing Office in Avenida da Amizade, Floor 2, Shop 2007, Macau Ferry Terminal, Macau also opens from 6:30am to 10:30 pm daily. Hope this help and good luck on your HK-Macau trip! Hello. We'll be staying @ MIRADOR MANSION in Kowloon and we want to go to Macau esp. Venetian hotel and Ruins of St. Paul. Our problem is we don't know what's the easiest way to get there (transportation), route, and office hours of the transportation cause we're not gonna have an overnight stay in Macau. Re: Getting to Ocean Park from Tsim Sha Tsui. Here is the most efficient route going to Ocean Park from Golden Crown Guest House. Here is the most efficient route going to Ngong Ping 360 from Golden Crown Guest House. Tung Chung to Tsim Sha Tsui MTR route map.